Buying a new bow is about as close to the Christmas morning feel as you’ll get for a bow hunter. When you were eight years old, it was probably all about a toy train or a bike. Now your toys are a bit different. If you’ve been hunting for a while you know what sight, arrow rest, and quiver you want. But most hunters don’t put a lot of thought into a stabilizer. They usually just pick one up that looks cool or doesn’t cost a lot of money. Many don’t even use one. While stabilizers are an afterthought to hunters, serious competitive archers wouldn’t dream of shooting a bow without one. Competitive target archers use long stabilizers to help balance their bow. When drawing a bow, an archer is pulling weight backward. All of that energy also has a tendency to pull a bow up when at full draw. Having weight out in front of the bow helps balance this. The added weight also helps prevent bow torque. More accurate shooting is just one of the advantages of having a stabilizer. Stabilizers also dampen vibration and noise. When a bow is pulled back, the energy stored in the limbs is preparing itself to be released. The arrow takes much of that energy with it downrange. However, there is a lot of energy stored within the bow. That energy creates vibration and noise. A quality stabilizer can harness some of that vibration and noise, making your bow more quiet and comfortable to shoot. So what kind of stabilizer should you buy? It depends on what your goals are. Generally, long stabilizers are going to make you more accurate and absorb more energy than shorter stabilizers. However, long stabilizers are cumbersome in the field and add weight to a bow. Adding a pound of weight may not seem like much. But if you’re shooting a modern bow that only weighs five pounds or less, it constitutes at least a 20 percent weight increase. It’s not just the weight. 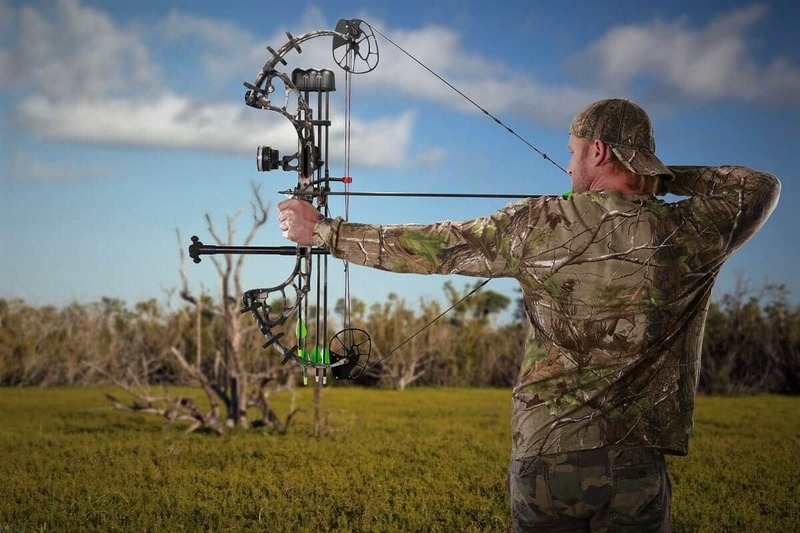 Think about what it would be like to move through the woods with an added 16 inches of material to the front of your bow. This is why most hunters choose a short, stubby stabilizer. No matter how long the stabilizer you choose is, pick it up and try to get a feel for where most of the weight is. You want most of the weight to be at the far end of the stabilizer. In most cases, you’re not going to gain a lot of accuracy with short stabilizers. They are only going to offer sound and vibration dampening. But even if you’re only gaining a slight edge in the accuracy department, it is worth doing.